We mourn the loss of Eartha Kitt, dancer, singer and actress, who died this week at age 81. She had many roles in Hollywood, Broadway and on TV, including a stint as the character “Catwoman” on the old Batman series. She got her start in 1950 dancing with Katherine Dunham’s troupe, and moved into singing and acting. She had a hit in 1953 with “Santa Baby”, which is still a popular Christmas song, and was recently certified as a Gold record. It is ironic that she died on Christmas day. I remember Eartha Kitt most fondly from her voice work on Disney’s The Emperor’s New Groove, which to me is the best and funniest Disney movie ever made. She was the villian Yzma, and did a wonderful job with this role. We have a couple of original cels from that movie, featuring her character. It’s a must-see! 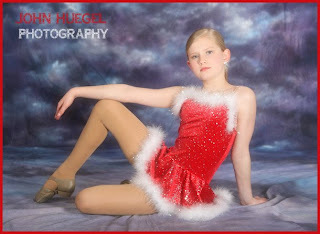 The young dancer in this image performed a solo to “Santa Baby” in 2008, and her wonderful costume complemented the musical number very well.